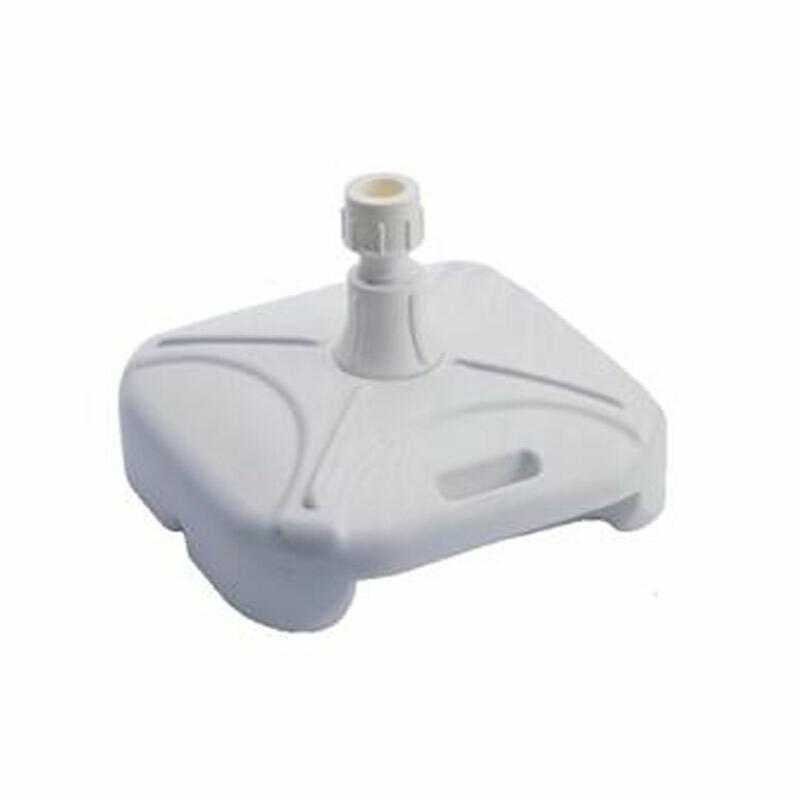 This is a simple white plastic garden parasol base suitable for a wide range of garden parasols including our own. Actually, there are many types of outdoor umbrella supports and parasol bases on the market, ranging from concrete to stone to steel. Some of them can be hugely expensive, often costing more than the garden parasol itself. 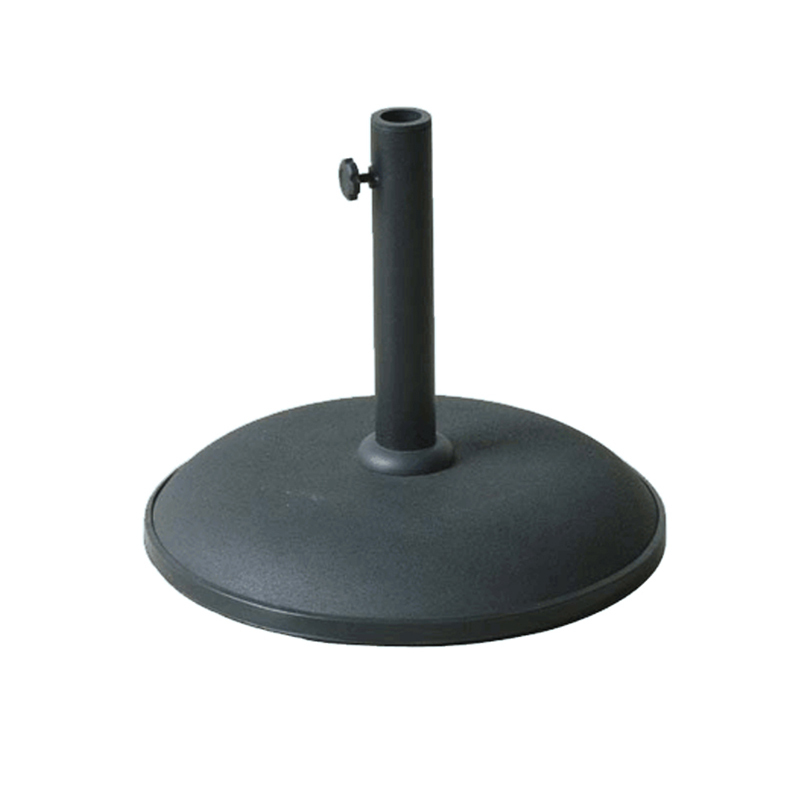 Those umbrella supports are also generally very heavy, bulky and consequently can be expensive to have delivered, if you’re buying them online. That’s where the lightweight, hollow plastic umbrella support on offer here has the advantage. It’s made of plastic and is therefore much lower in cost and it’s lightweight by comparison making carriage much cheaper. They’re also easier to manage around the garden – if you’re elderly or struggle with mobility some of those heavy stone and concrete parasol bases can present a real problem. 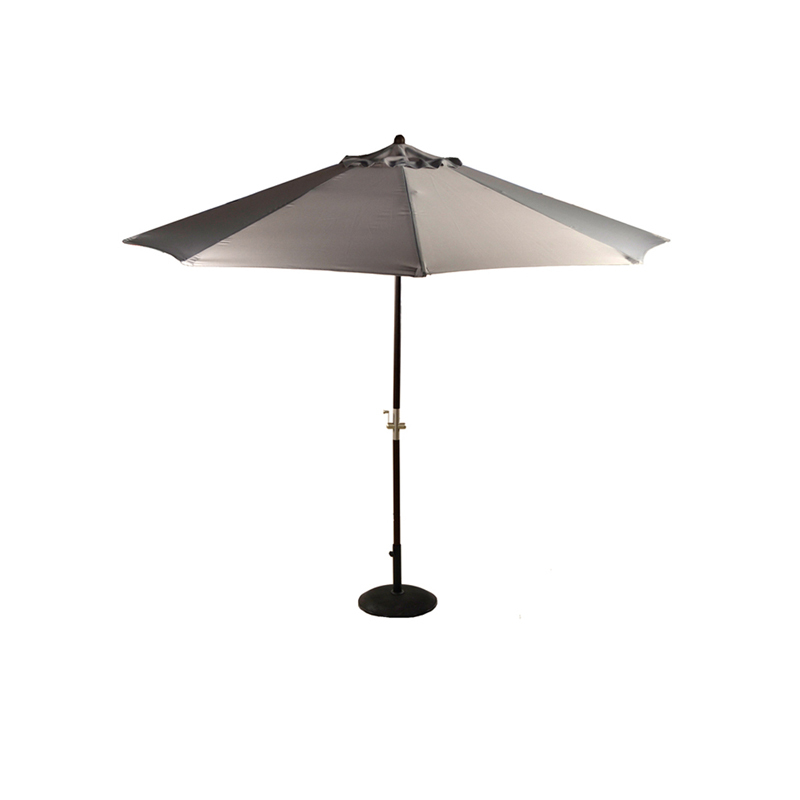 The parasol base we offer here has an adjustable collar which tightens around the shaft of the garden umbrella. Made from a tough durable white plastic, this versatile and easily portable umbrella support is suitable for parasols with a shaft diameter of 18-32mm. The parasol base has an aperture which you can pop open and fill with water, sand or small gold nuggets, to provide a safe and stable base for your parasol (or to hide your gold nuggets where no one will find them). It can be wiped clean with a damp cloth from time to time to keep it looking like new. This also presents you with an opportunity to check on the gold nuggets. So, there you have it. 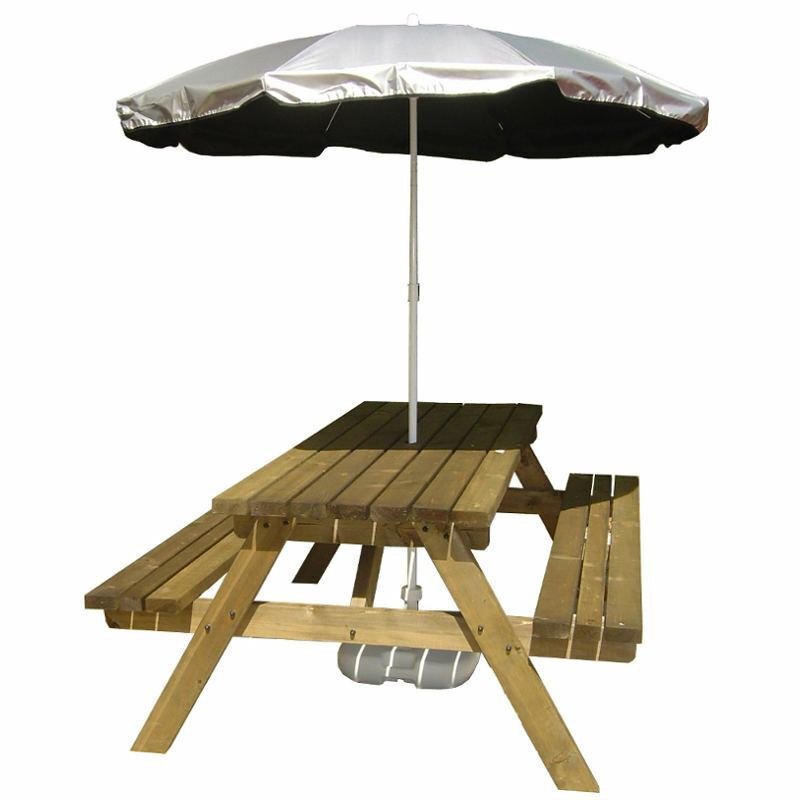 A lightweight, cost effective garden umbrella base, just what you’ve been looking for. Oh, and one more thing. Parasol bases can be dangerous. Don’t forget to keep a straight back and bend your knees when you go to move it ten years after you’ve put it out in your garden. Not the base for you? 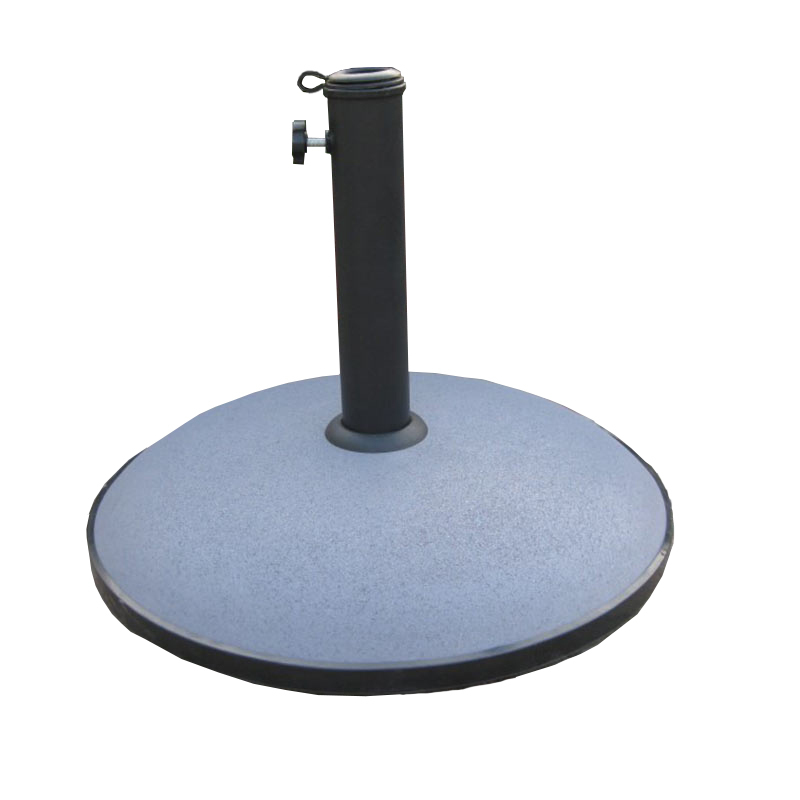 Check out this 15kg garden parasol concrete stand base in a variety of colours.